We never thought while watching the movie that Edward Cullen would have been so much trouble, but it seems that he was. That’s right, Robert Pattinson has admitted there was yet another reason for why he was nearly fired from Twilight, and it’s actually super silly. 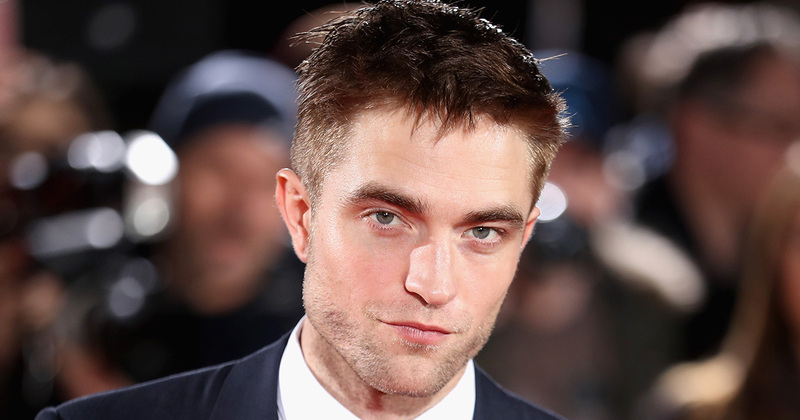 In case you missed it, Pattinson recently spoke about how he nearly lost the job of Edward Cullen on the hit vampire movie, a role that propelled his career into the stratosphere. According to the actor himself, he was pretty resistant to authority on set, and clashed with those in charge. However, that wasn’t the only thing that got Pattinson nearly kicked off the movie. In a new interview with Howard Stern, Pattinson shared that his brooding also got him in some serious trouble. While on set, the actor said he tried to express what it was like being young and in love. "If you're going into a relationship with someone, the way to make it really intense is if you can barely talk to each other, you can barely touch each other – it's incredibly serious all the time," he explained. "That's what teenage relationships are." This wasn’t exactly what those making the movie were after. As in, they wanted him to smile more. “Everyone kind of wanted it to be like, ‘No they should just be like happy and having fun. That’s what people want,'” he recalled. To hit their point home, Pattinson was actually given a copy of the book with all the parts where his character, Edward Cullen, smiles. However, the actor had a hilarious response to this not-so-subtle hinting. “I got a different kind of highlighter and highlighted all the times when he frowned,” he joked. Things got so bad on set that the actor’s representatives were called. In the end he admits that he was probably playing it a little too serious. “There was some kind of compromise made,” he added. In the interview, Pattinson also revealed that when he auditioned for Twilight he had actually taken a Valium: “I couldn’t barely keep my eyes open when I talked to the producers,” he said. Pattinson obviously didn’t lose his job playing Edward Cullen, and the rest is, as they say, shimmery vampire history. Anyway, we couldn’t imagine him playing Edward Cullen if he wasn’t dark and brooding. In fact, the actor recently said that he’d actually be up for reprising the role of the Twilight undead heart-throb. That’s something we’d certainly like to see.